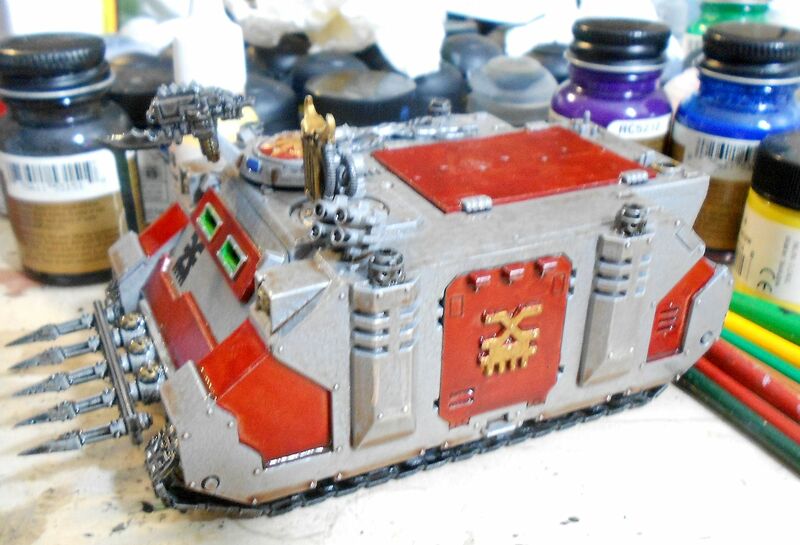 I used it in the special event posted earlier, but just finished it in time for that, so hadn't posted specific pics of the finished berzerker rhino yet. 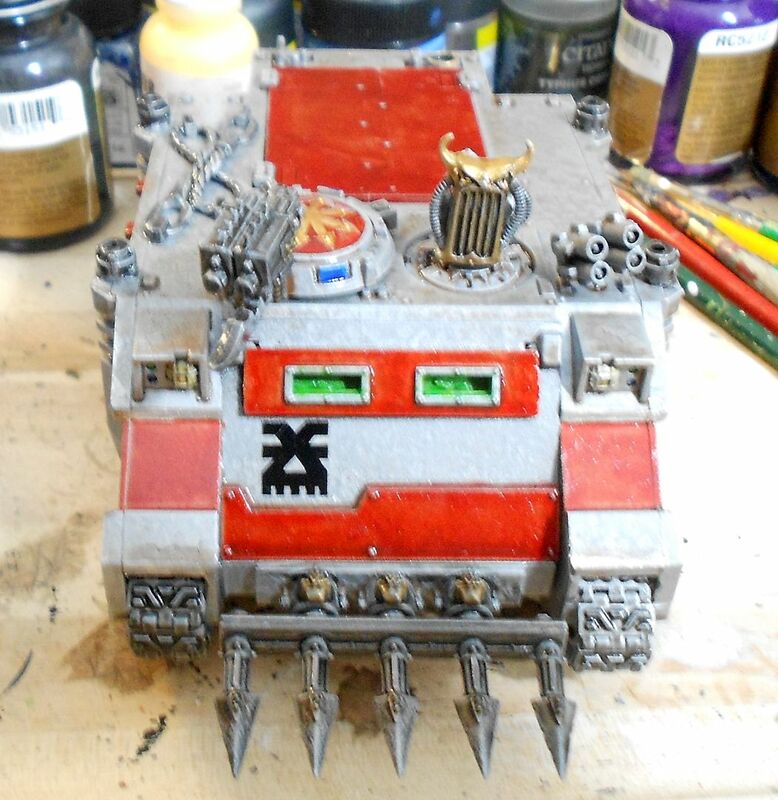 Nothing fancy, just a simple Khornate rhino, spikes to serve as a dozer blade, some insignia, and speaker to serve as dirge caster. Red and metallic to fit with the Abyssal Reavers themselves. 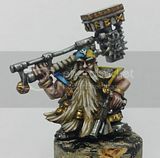 Lord (front rank on right) will be my 3rd HQ in the campaign, jumping around with a Murder Sword to go after enemy characters. 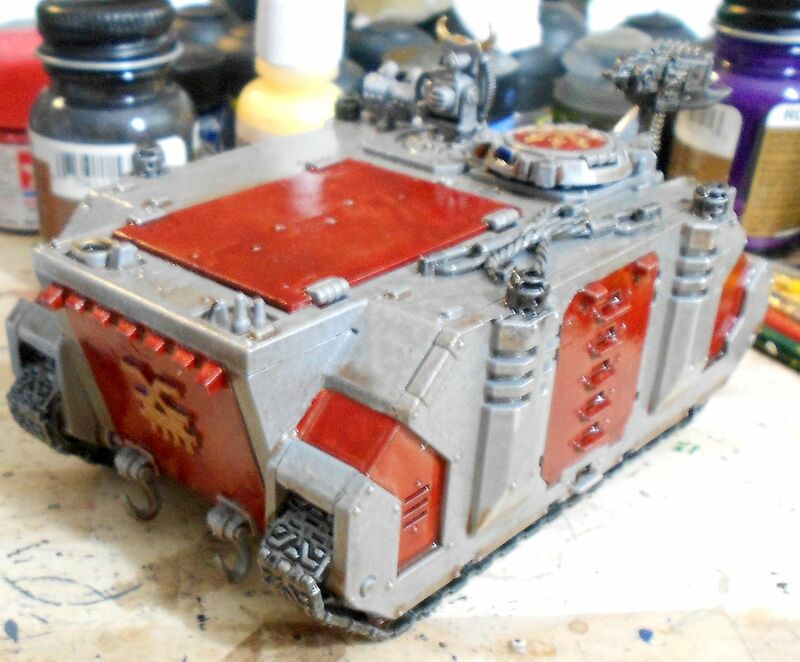 Hopefully I can get the army he leads up against some Blood Angels to tweak them a bit.